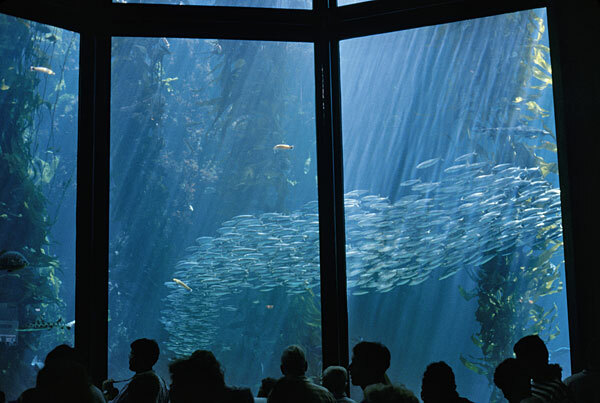 A few years back the Monterey Bay Aquarium was one of our many stops up the coast on an 11 day Harley ride. This place is located on historic Cannery Row, sits on the edge of the Pacific Coastline and is open every day except Christmas. If you are planning on seeing more than the Aquarium on your trip, you might want to consider getting a sightseeing pass, where you can save on multiple attractions. Learn more about them here. 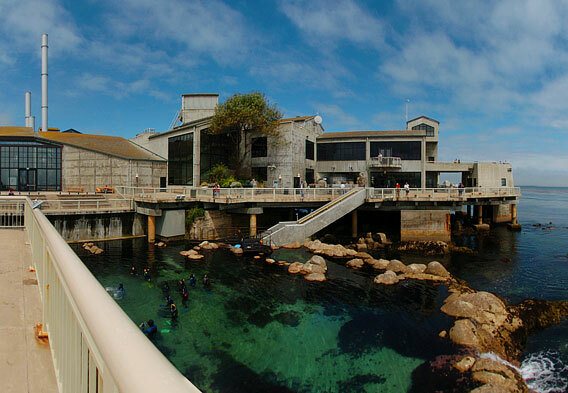 Most of the exhibits you'll find here are the typical exhibits you see at most aquariums, kelp forests, sea otters, jellies, octopus and now the Monterey Bay Aquarium has a sea-horse exhibit! The aquarium is a fun place to check out but so are the surrounding places like Cannery Row, you can't miss it, the aquarium is located on Cannery Row. It's a touristy little spot with some restaurants, cute shops and it just has such a quaint-ness about it. Carmel-by-the-Sea is another place nearby that just oozes quaint-ness! I always stop here if I'm passing by. Its only about 15 minutes from the aquarium by car. The beach here is super nice as well as all of the Monterey area beaches. And if you haven't seen Big Sur, you should definitely check it out, its about 20 minutes from the aquarium by car, its absolutely breath-taking and is a place that should be on your bucket list. Hours vary throughout the year, regular hours, winter, summer, holidays and weekends so check here to view a calendar. (Opens in a new window). Admission prices are about $35.00 for adults and $22.00 for kids 3-12. Seniors 65 plus get in for $32.00 as well as students 13-17 or have a college ID. For more information or to order tickets by phone, you can call toll free 866-963-9645. This office is open Monday through Friday from 8 to 5. But please keep in mind, tickets are non-refundable. Unfortunately, the Monterey Bay Aquarium does not qualify as an attraction for a sightseeing pass but there are other fun places to check out while on your trip. See all San Francisco attractions.